Anthony Scaramucci is heading back to SkyBridge, the investment firm he founded, after HNA dropped its bid. The Chinese conglomerate’s rationale for buying it was more absurd than his chaotic turn as a White House flack. With HNA out and the Mooch back in, order is restored. White House Communications Director Anthony Scaramucci accompanies U.S. President Donald Trump for an event about his proposed U.S. government effort against the street gang Mara Salvatrucha, or MS-13, with a gathering of federal, state and local law enforcement officials in Brentwood, New York, U.S. July 28, 2017. Chinese conglomerate HNA is set to pull out of buying SkyBridge Capital, the hedge fund founded by Anthony Scaramucci, the Wall Street Journal reported on April 30. The takeover had faced resistance from the Committee on Foreign Investment in the United States. 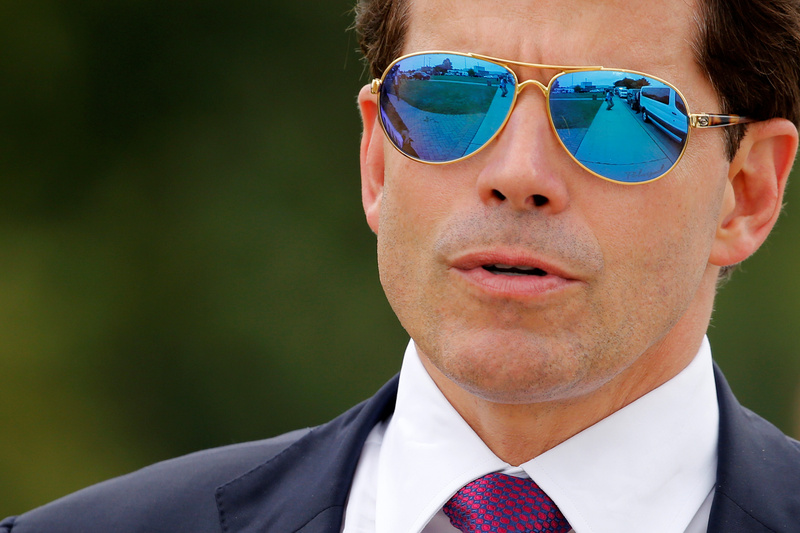 Scaramucci is set to return to the firm as a co-managing partner. He sold his stake in SkyBridge in January last year as he hoped to join the administration of President Donald Trump. In the summer he became White House communications director, a role he lost within days following an expletive-laden conversation with a journalist from the New Yorker about some of his new colleagues.